A new garage floor installation in Huntington Beach can be an excellent addition to your living space, but your garage floor coating will only last if it receives the proper maintenance. In most cases, more traffic over your epoxy garage floor means it will require more extensive maintenance in order to retain its function and aesthetic appeal. Keep reading if you are interested in learning about caring for your concrete floors. Cleaning your epoxy garage floor on a regular basis can help to keep it shiny and visually impressive for years to come. 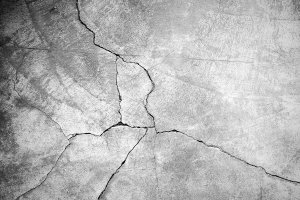 Failing to adequately clean your concrete floors can lead to dulling and impairment in their aesthetic qualities. You can start caring for your concrete floors by dusting and mopping; in doing so you will do away with grit and work to improve the shine of your floors. You can ensure that your floor keeps its shine by buffing the surface with a polishing material, or you can touch up your polish with an abrasive. As an alternative to buffing your epoxy garage floor you may choose to use specialized cleaners that can be applied to the floor with a mop. Once you have a concrete restoration or epoxy garage floor coating, your garage floor coating professional will likely provide you with a suggested maintenance schedule that can help you keep your floor looking brand new. It also helps to use area rugs and door mats in order to protect your floor from dirt and debris; this is especially helpful near entryways, exits, and other areas that see a substantial amount of traffic. Try not to use harsh cleaning products, as they may be harmful for your garage floor coating as well as for the environment. Although properly applied garage floor coatings should not typically be vulnerable to fading or peeling, certain types of chemical stains can affect the color and design of your garage floor coating. This issue may be addressed with the application of a sealer or an additional coat of dye or stain for your concrete floor. What Do You Need to Know About Epoxy Floors? When you are planning a new garage floor installation, you may want to consider choosing garage floor epoxy. When you install an epoxy coating on your garage floor, you will enjoy a durable and beautiful surface that can withstand both car and foot traffic. After you have decided that an epoxy garage floor is the right choice for your needs, it will be time to set up an installation appointment. A company specializing in garage floor epoxy in Irvine can provide you with top quality installation services. To help you prepare for your flooring installation, here is a look at some important information about epoxy floors. Epoxy floors are made of a mixture of materials. Typically, your new epoxy floor will be composed of a variety of resins and hardeners. Additionally, some epoxy floors are enhanced with sand or vinyl chips. When the epoxy is applied to the surface of the floor, it is in liquid form. Once the liquid epoxy dries, it will create an incredibly durable and long lasting surface. The epoxy floor installation process involves several different steps. When you schedule an epoxy floor installation, your technician will begin by cleaning and preparing the surface of your concrete. Next, the liquid epoxy will be carefully spread across the surface of the floor. Some types of epoxy also require special compounds in order to ensure that they cure. Once the epoxy floor has been left to dry overnight, the installation project will be complete. There are several different benefits to installing epoxy floors. Since epoxy floors are extremely durable, they will last for many years without experiencing damage or breaking. Epoxy is also completely scratch resistant, making it a good choice for high traffic places. In addition, you can customize your epoxy floor installation with colors and patterns that suit your design theme. If you’re a handyman, hobbyist, business owner, or homeowner who’s tired of looking at a dusty, cracked garage floor, it’s time to consider getting an epoxy garage floor coating in Orange County . Epoxy coatings make garage floors more aesthetically pleasing and can even make your garage brighter depending on the color and finish of the floor. With garage floor epoxy, you don’t have to worry about damage from dropped tools or leaky motor oil ruining the look of your garage. Epoxy coatings are durable, moisture resistant, and clean up easily to maintain a sleek, professional look. Check out this infographic from the Orange County garage floor installation specialists to learn more about the benefits of epoxy floor coatings. Please share with your friends and neighbors. If you are seeking a durable and beautiful solution for your garage or commercial floor, you may want to consider epoxy coating. Epoxy floor coating is available in a variety of colors and styles, and this type of flooring will provide you with fantastic performance for many years to come. Your coating contractor will be able to tell you more about the epoxy floor coating options that are available to you. 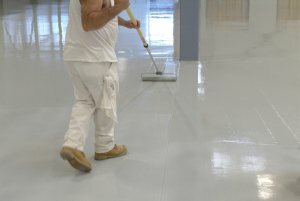 By working with a reputable Orange County epoxy coating company, you are sure to be satisfied with your brand new floor. Here is a quick guide to some of the most popular types of epoxy coating. Epoxy terrazzo is a beautiful and durable choice for your epoxy floor coating project . This type of epoxy coating is available in a wide variety of colors and styles. Using dyes, resins, or aggregates, your epoxy floor contractor can help you create the beautiful epoxy floor of your dreams. Due to its nearly indestructible performance, epoxy terrazzo is suitable for commercial or home garage spaces. 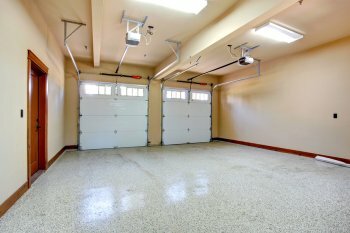 Certain types of epoxy coatings are designed specifically for use in garages. When you are designing an epoxy garage floor, you should seek a coating material that is resistant to scratches, chemicals, and weather. Garage floor coatings can also be crafted to have the look and feel of terrazzo or granite. Depending on the style of your garage, you can also choose a colorful garage floor coating that matches the appearance of your home. For the ultimate in luxury and style, you may want to choose a metallic epoxy coating for your floor. This type of epoxy coating can be designed to have the look of gold, copper, or virtually any other type of metallic surface. The dazzling good looks of a metallic epoxy floor are sure to please your eye. When you are designing a garage floor, you will have many options available to you. In fact, the sky is the limit when it comes to your creative garage floor design. Garage floor epoxy will allow you to create a garage floor that has the luxurious look of granite or limestone. Your coating contractor can provide you with more information about all of your epoxy coating options. An Orange County epoxy garage floor company will have the tools and experience required to great the beautiful garage floor of your dreams. To tour some of your garage floor design options, watch this video from ConcreteNetwork.